FOR MORE PHOTOS OF DISPLAYS CLICK HERE! 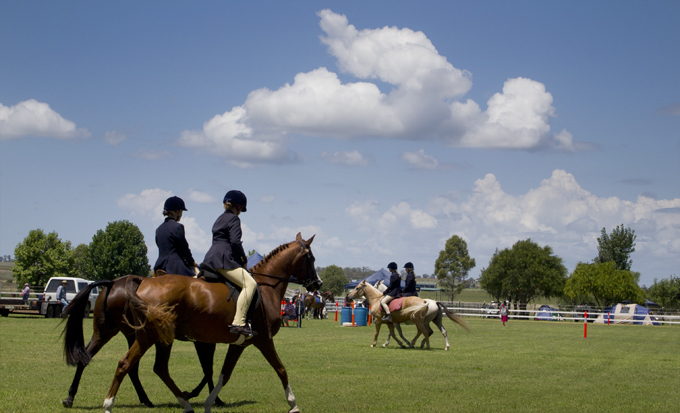 Beyond the football and cricket ground there is a great Australian tradition of the agricultural show. In Allora recently we had the privilege to spend some time with a regional show – a show that had been running since 134 years. Doug judged the photography section and then we spent some time with the people and the exhibits that made the show an interesting and engaging event. These were passionate people busily supporting this local community event. 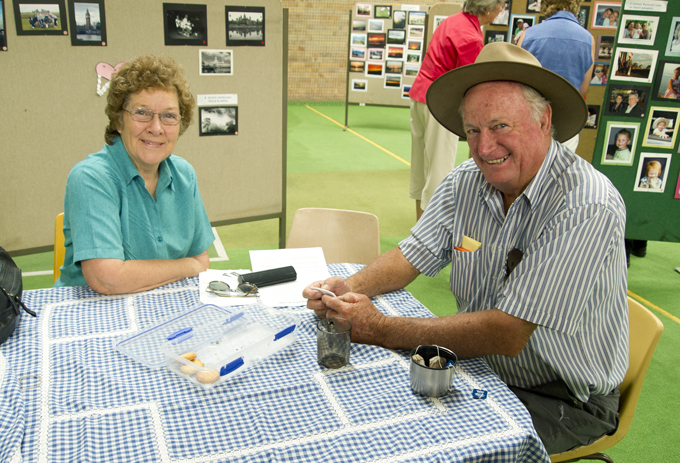 There were displays showcasing with their creative pastime pursuits and community projects. The local schools had creative displays; there were the hobbyist awards for hand made objects and Leggo sculptures. 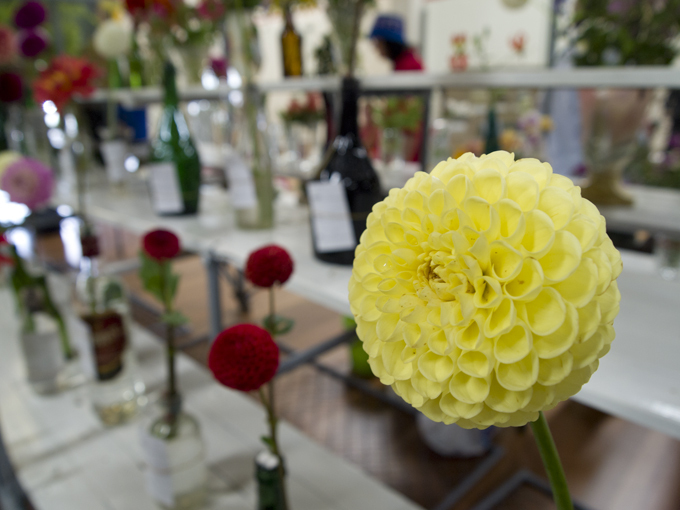 Also in the big shed were the usual competitions for the best cakes, scones, dampers and my favorite – the fancily iced arrowroot biscuit, the heaviest pumpkin and the best Dahlia and the woodwork and quilts displays. In the main oval there were suitably attired young girls with their horses in the dressage event. With their plaited hair matched the plaited mane and tails of the horses they competed with serious attention to the requirements of the event for the judge. 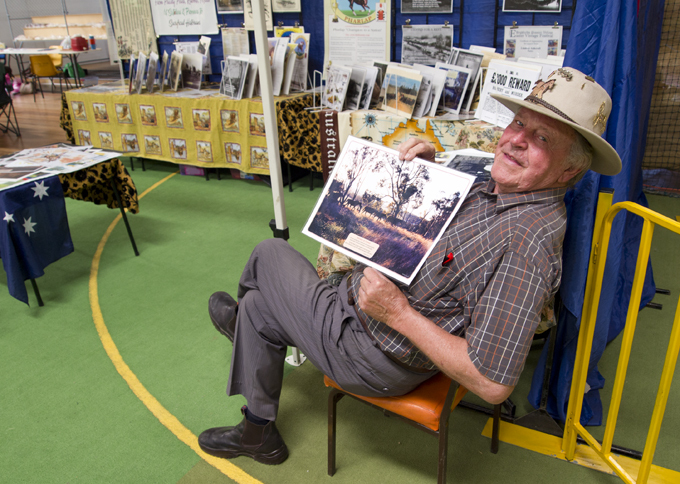 Lindsay Ashcroft, the bush poet, seasoned regional traveller, with his lyrical repartee made impromptu performances to our group of workers as Doug judged the photos. He passionately recited his poems of Australian sentiments that referred to iconic symbols like the poems of Banjo Patterson. Photographs taken by Lindsay or a graphic and artwork that inspired the words accompanied each poem, were available for purchase. 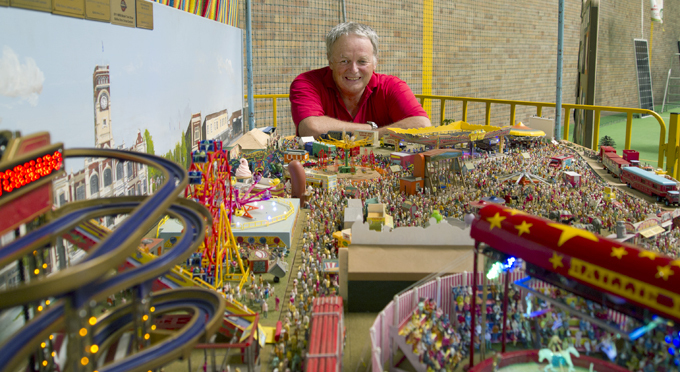 Beside Lindsay was a miniature show, a scale model carnival, with a painted background featuring Toowoomba buildings. A trio of enthusiasts, the Baillie Boys Shows, created this as a departure from the usual model trains display. They are now working on their next venture. You can see more of their work on their website, www.baillieboysshows.com , where they show the construction of various elements and display venue schedule. It was fun to spend time with these people, their passions and their stories.